Mostly Board Games: Finally Another Chance To Get My Rage On! Finally Another Chance To Get My Rage On! Boss Monster with Tools Of Hero-Kind expansion: Apparently Boss Monster is a 20 minute game. I realize we are a little slow while learning / teaching new players, but I personally think boss monster takes almost an hour to play through. That's not a bad thing necessarily, but don't expect a quick filler as Boss Monster could easily be a lighter main event for the night. Adding the expansion doesn't really add too much more time to the game, just a few more things to think about and a whole lot more take-that opportunities - which is good or bad depending on who you ask. In a way with the expansion, Boss Monster shares a lot with Munchkin and your thoughts on the aforementioned will give you an idea of whether you'll enjoy Boss Monster. I love the nostalgic NES feel to the game and will quite happily play it, but would be just as happy to play something else as well. This weeks three player sessions consisted of two of us destroying each other allowing the 3rd player to win by default. Killing my opponent was fun regardless! 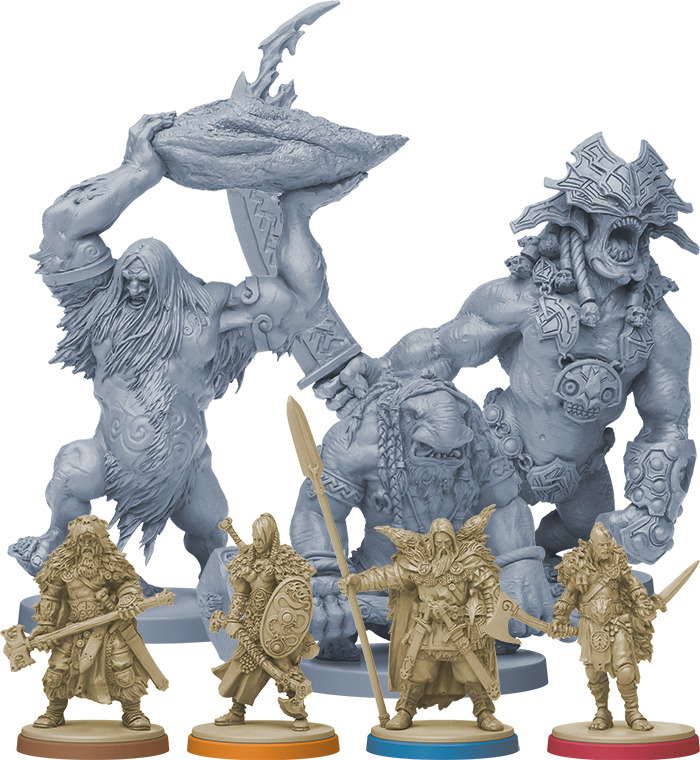 Blood Rage: Initially overwhelming to new players, Blood Rage actually isn't as complicated as it looks. It's a bit like a mix of 7 Wonders and Small World, where you set out through three ages to bring the most glory to your clan (I've defaulted to the Bear Clan as my go to). Along the way you'll recruit powerful monster allies, gain the gifts of the gods and happily be destroyed by Ragnarok all in the name of glory. I love this game and in my opinion it is a Must Buy for anyone who would be able to get it to the table with their group. It's been a struggle with ours, but this weeks 4 player session has won over a few new fans. It took about 10 minutes to explain and a couple poorly executed turns in the first age before everyone was up to speed with a plan of attack. With 2 new players and a 3rd who had only played once, it took us about 2.5 hours to play through. Now that everyone understands the basics I'm hoping for another opportunity to return to Valhalla in the near future and estimate it only taking 2 hours next time. Welcome To The Dungeon: I keep telling myself that I'll stop buying board games for a little bit so I can firstly try all the games I actually own, and more importantly get to know my games properly before moving on to the next shiny new one. Needless to say - it doesn't really happen. This one was easy to justify. It was inexpensive, small and it looks to be one I'd easily be able to play with a few of our groups. I don't know a whole lot about Welcome To The Dungeon but think I get the basics and it seems like it could be a bit of fun before moving onto something else. Besides, they recently released a sequel so it must be half decent? I've posted this stock photo once before.. but how good do these miniatures look!